Packers safety Morgan Burnett (calf) is downgraded to QUESTIONABLE for Sunday’s game against the Bears. Click here to see the full injury report. In perhaps the first legitimate sign that he’s getting ready to return to action, CB Casey Hayward was fully dressed and going through some drills in the Packers’ full-pads practice on Thursday. Hayward already has been ruled out for this week, but the second-year corner and the team’s leading interceptor from last season might finally have a light at the end of the tunnel with his hamstring injury, which he originally hurt prior to training camp. Hayward returned for three practices during the third week of the preseason but then re-aggravated it in that week’s game. He has been out the past six weeks, since the third preseason game. 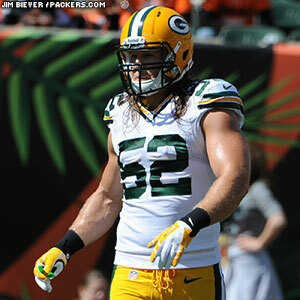 For the feature story on LB Clay Matthews’ recovery from his hamstring injury, click here. Packers LB Clay Matthews, who missed the second half of the Week 3 game in Cincinnati due to a hamstring injury, returned to practice on Wednesday but only on a limited basis. His availability for Sunday’s home game against Detroit remains in question. 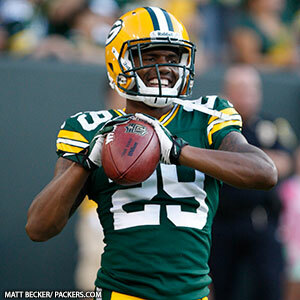 Elsewhere on the injury report, CB Casey Hayward (hamstring) has been ruled out for the fourth straight game. Since re-aggravating his hamstring injury in the third preseason game, Hayward has now been out for six weeks. RB James Starks (knee) is also out and will be sidelined “a couple weeks,” McCarthy said. Also, backup offensive lineman Greg Van Roten sprained a foot in Monday’s practice and will be out multiple weeks. The other six players on the injury report were full participants in Wednesday’s practice. They included S Morgan Burnett (hamstring), CB Jarrett Bush (hamstring), TE Jermichael Finley (concussion), RBs Eddie Lacy (concussion) and Johnathan Franklin (foot) and FB John Kuhn (hamstring). In speaking to reporters for the first time since his concussion, which occurred on the first offensive series in Cincinnati, Finley called it a “long process” to get medical clearance, but he said he understands the reasons for the protocol and the protection of players’ health. He said it took a couple of days before he felt mostly normal again. To see Wednesday’s feature story on the Packers running game, click here. Packers QB Aaron Rodgers said on his weekly radio show on Tuesday that he will not play in this year’s Pro Bowl due to injuries. Rodgers didn’t get into many details, but he said he didn’t pass his physical. He specifically mentioned an ongoing ankle issue. He was also kicked in the calf back in Week 6 in Houston and noted how painful that was. The only other Packers currently on the NFC’s Pro Bowl roster are LB Clay Matthews and C Jeff Saturday, but alternates could still be named to the team over the next week. LB Erik Walden (ankle) returned to practice on Thursday after missing Wednesday’s workout, but FB John Kuhn was added to the absence list. 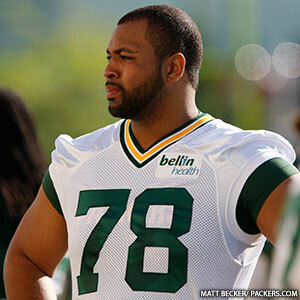 Kuhn was not on the injury report on Wednesday, so an update from Mike McCarthy will be coming after practice. Otherwise, the participation at practice on Thursday was essentially unchanged from Wednesday. Post-practice update: Kuhn’s absence was “not injury related,” according to McCarthy, while OL Greg Van Roten was added to the injury report with a back injury. He was limited in practice, but the injury isn’t something the medical staff is overly concerned about. With Van Roten, T.J. Lang (concussion, illness) and Jeff Saturday (neck/shoulder) all dealing with issues, the offensive line was a little shorthanded at practice, but McCarthy didn’t sound worried. He said Saturday could potentially return to practice on Friday, and he anticipates Lang being cleared by Sunday. Lang hasn’t passed the concussion protocol yet, but he wasn’t able to proceed with any testing on Thursday because he had the flu. Several players miss practice Wed.
A total of nine players were not practicing on Wednesday during the portion of the workout open to the media. Those whose injuries are known include RB James Starks (knee), TE Tom Crabtree (hamstring), WR Jordy Nelson (hamstring) and DE C.J. Wilson (knee). But five additional players, who all played in last Sunday’s game but were not yet reported to have new injuries, also sat out. They were RB Alex Green, C Jeff Saturday, G/T T.J. Lang, LB Erik Walden and DE Jerel Worthy. Saturday (foot) and Lang (ankle) have been on the injury report in recent weeks. Mike McCarthy will address the media with an update following practice. 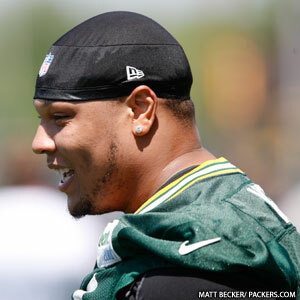 Mike McCarthy said on Monday that the ankle injury that forced NT B.J. Raji to limp off the field late during Sunday’s victory is not as bad as the one that led to Raji missing two games last month. Raji apparently has re-injured the same ankle that he hurt in the Indianapolis game in Week 5. He sat out the victories in Houston and St. Louis the next two weeks before returning to the field. McCarthy didn’t say whether Raji would play this week against the Giants, but he didn’t sound concerned about the injury long-term. No update was provided on WR Greg Jennings and LB Clay Matthews. McCarthy said more information would be known on Wednesday.